Baltimore, MD -- Robert Jay Weltchek has just been announced as The Daily Record’s 2019 Leadership in Law Award recipient. This award is dedicated to commemorating Maryland’s active legal professionals, whose drive and passion resonate within their occupation and the greater community. The Daily Record started the Leadership in Law Awards in 2001 to highlight the amazing work being done by Maryland legal community members. On May 16th at the BWI Hilton, the highest honor will be awarded, determined by a vote of this year’s Leadership in Law Award winners. The Daily Record will also recognize Generation J.D. recipients, who are up and coming legal professionals, and Lifetime Achievement Award recipients, who exemplify the service of legal professionals with prosperous and established careers. Nominations came from The Daily Record’s dedicated readers, as well as bar associations, local law firms, chambers of commerce, and various business and legal community members. Winners were selected by a panel of leaders of these communities, after applicants filled out nomination forms that asked them to distinguish themselves via career accomplishments, community involvement, and mentorship. 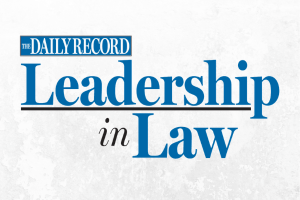 For more information about sponsorships and tickets for The Daily Record’s 2019 Leadership in Law Awards, visit www.TheDailyRecord.com or call 443-524-8161. Benjamin H. Carney, Gordon, Wolf & Carney, Chtd. 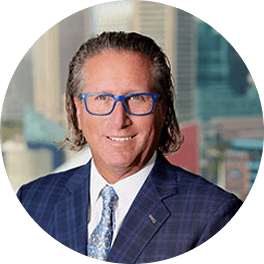 Steven M. Klepper, Kramon & Graham, P.A. Jeremy D. Rachlin, Bulman, Dunie, Burke & Feld, Chtd. Angela Davis Pallozzi, Offit Kurman, P.A. James B. Astrachan, Astrachan Gunst Thomas, P.C.